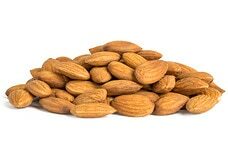 Save 5% with automatic delivery of your favorite Nuts.com treats! Receive 5% off on your second and subsequent subscription orders, except orders including by-the-case items. Orders over $59 shipping to the contiguous US, including orders with by-the-case items, will ship free with our everyday free shipping. Step 1: Go to your favorite product page and choose the option to subscribe. Step 2: Choose the frequency with which you’d like to receive your products. Step 3: Check out as usual. Step 4: If you subscribe to more than one product, log into the Auto-Delivery section in Your Account at Nuts.com and make sure that the subscription order dates are all set to the same day to guarantee that you receive your free shipping on orders over $59. *Subscription orders that include by-the-case products are not eligible for the 5% discount. This offer cannot be combined with other offers. Free shipping is automatically applied at checkout to all orders totaling $59 or more before taxes and shipping within the contiguous 48 states. Orders that do not meet the free shipping minimum will be charged $5 for shipping. For orders being shipped to AK, HI, and US Territories, shipping is calculated based on weight and address at checkout. Each address on an order with multiple shipping addresses must include $59 or more worth of items to receive free shipping to that address. Auto-Delivery is the most convenient way to enjoy your products. We automatically send the products you've subscribed to at your chosen delivery frequency. The program is easy to use and customizable, so you can make changes online whenever you want. Just tell us how often you want your deliveries, and we'll take it from there. You will receive 5% off your 2nd and later subscription deliveries that do not include by-the-case items. This discount cannot be combined with any other offers. Auto-Delivery is not currently available for non-US addresses. In addition, all subscription deliveries over $59 shipped to the contiguous US will receive free shipping. You always have complete control over your Auto-Delivery orders, and we send an email reminder before each order ships. You can cancel your order or change your delivery frequency, next order date, or quantity at any time by visiting the Auto-Delivery page located in the Your Account section of our site. Changes to orders can be made up to 24 hours prior to the next scheduled shipment date. How do I create a subscription for Auto-Delivery? You can create a subscription while browsing on a product page or while reviewing items in the shopping cart. To subscribe, simply select the Auto-Delivery option, select your preferred shipment frequency, and then check out as normal. How do I ensure I receive the discount on my subscription? You will automatically receive the 5% discount on your second and subsequent subscription deliveries. The discount will not be applied to by-the-case items. The 5% discount cannot be combined with any other offers. Additionally, if you make sure that at least $59 worth of your subscription products are set to ship on the same date to each address to which you wish to ship your products, you will receive free shipping, including for by-the-case items. What will happen after I create a subscription? After you join Auto-Delivery, you will receive an email confirming your subscription. This email will include a link to access the Auto-Delivery page located in the Your Account section of our site, where you can manage your future orders, subscription items and subscription account information. We will place your Auto-Delivery orders automatically according to your selected delivery frequency and you will only be billed on the day the order is shipped. Prior to each order, we'll send you an email reminder. You will also receive email notifications regarding other important information related to your Auto-Delivery account, such as if a product is discontinued, if you cancel your subscription, or once your order is successfully placed. How do I make changes to my Auto-Delivery orders? Once you’ve subscribed, Auto-Delivery is easy to manage. You can change your next shipment date, skip an order, change an item's delivery frequency, or cancel a subscription by visiting the Auto-Delivery page located in the Your Account section of our site. Please allow up to 24 hours for modifications or cancellations to be processed. To change your next shipment date, please visit the ‘My Next Shipment’ tab on the Auto-Delivery page and click the ‘Change Date’ button near the next shipment date, then select a new date for your order. This will change the shipment date for the entire order. If an order contains multiple items and you only want to change the shipment date for a single item, please visit the ‘My Subscriptions' tab on the Auto-Delivery page and identify the individual item you would like to modify. Click 'Next Shipment Date' for the individual item and select your desired shipment date from the pop-up calendar. To skip a delivery, please visit the ‘My Next Shipment’ tab on the Auto-Delivery page and click the ‘Skip Order’ button near 'Next Shipment Date' to skip the entire order. To modify the delivery frequency for an Auto-Delivery item, please visit the ‘My Subscriptions' tab on the Auto-Delivery page. On this tab, the current delivery frequency is displayed next to each subscription item in a drop down menu. To change the delivery requency for that subscription item, simply click the arrow of that item's 'Frequency' drop down and select your desired delivery frequency. To cancel an Auto-Delivery item, please visit the ‘My Subscriptions’ tab on the Auto-Delivery page and click the ‘Cancel Subscription’ button under the item quantity. You’ll be prompted to confirm this action and indicate your reason for cancelling. Once you’ve selected ‘ok’, your subscription will be cancelled and no future orders will be placed. You will also receive an email notification confirming this. How do I make changes to my Auto-Delivery account information? To review or modify your Auto-Delivery account information, visit the Auto-Delivery page located in the Your Account section of our site. You can view or change your shipping address or payment information for an individual order, or change your address information at the subscription item level. You can also change the delivery frequency. Go to the ‘My Next Shipment’ tab on the the Auto-Delivery page and select ‘Edit’ in the 'Shipping Info' section. Go to the Wallet page located in the Your Account section of our site. Please remember to press OK to verify that your updated information is saved successfully. We kindly ask that you allow up to 24 hours for modifications or cancellations to be processed. What is the difference between the 'My Next Shipment' and 'My Subscriptions’ tabs? The ‘My Next Shipment’ tab on the Auto-Delivery page shows the details for your next scheduled shipment. An order may contain more than one individual item scheduled for Auto-Delivery if the items have the same shipment date, shipping address, billing address, and payment information. The ‘My Subscriptions’ tab on the Auto-Delivery page displays individual subscription items and all associated details for each subscription, including next shipment date, delivery frequency, quantity and shipping address. 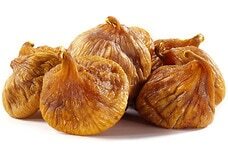 Moist and succulent, dried Turkish figs are one of the sweetest fruits available. They are simply figs, with no added sugar or preservatives. Enjoy these luscious fruits straight out of the bag or in baking. 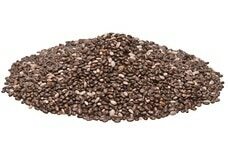 Revered by the Aztecs, chia seeds are nutritional powerhouses that keep thousands of customers coming back to this top seller. 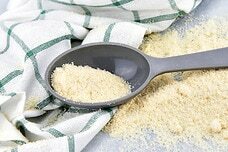 These appetite-suppressing superfoods are a plentiful source of omega-3s and fiber.